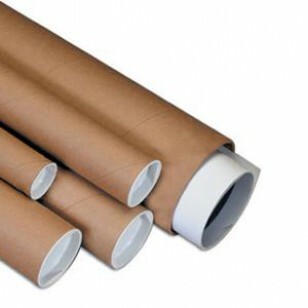 Brown kraft mailing and packaging tubes are ideal for sending items like documents, posters, calendars or blueprints. Plastic end caps provide safety and security during shipping. Price listed is per tube.